The definition of a ‘Refugees’ in international law is of critical importance for it can mean the difference between life and the death for an individual seeking asylum. Definitions in international law it may be noted, depart from the ordinary meaning of the word ‘Refugees’. In everyday speech the word ‘Refugees’ is used to describe a person who is forced to flee his or her home for any reason for which the individual is not responsive, he it persecution, public disorder, civil war, famine,. earth quake or environmental degradation. Several attempts to define the term ‘Refugees’ have been made in the course of the twentieth century. The definition contained in different international instruments during the period of the league of nations is the subject of reading I.A. It provides the historical backdrop against which contemporary definitions need to be considered. These include the definitions contained in the 1951 convention on the status of Refugees (hereafter the 1951 convention), the 1969 OAU convention Governing the specific aspects of Refugees problems in Africa (hereafter the OAU convention) and the caratagena Declaration on Refugees 1984 (hereafter the cartagena declaration). The key feature of the protocol of 31 January 1967 relating to the status of Refugees (hereafter the 1967 protocol) was that it removed the temporal and geographical limitations contained in the 1951 convention. How ever, as reading iii. A points out, there was no attempt to reconsider the definition of term ‘Refugees’. This meant that most third world Refugees continued to remain de factor included, as their flight is frequently prompted by natural disaster, war, or political and economic turmoil rather than by persecution, at least as that term is under stood in the western content. At the regional different definitions of ‘Refugees’ have been adopted, namely, the OAU convention and the cartagena declaration. Reading IV.A examines the conditions under which the different definitions were adopted in Africa and Latin America and their silent features. The final reading of chapter one is included to encourage reflection on the ‘Striking Similarities between the universal condition and the plight of Refugees. It is perhaps important to emphasize that Warner is not questioning the usefulness of the legal category of Refugees but merely pointing towards certain parallels between the Refugees condition and the existential condition of humankind. Analysis of the international Refugees accords entered into between 1920 and 1950 reveals three distinct approaches to Refugees definition. Each of these perspectives- Judicial, Social and the individualist- was dominant during a part of the initial decades of Refugees law. From 1920 until 1935, Refugees were defined in largely juridical terms, which meant that they were treated as Refugees because of their membership in a group of persons effectively deprived of the formal protection of the government of its state of origin. In contrast to the initial Judicial focus, the Refugees agreements adopted between 1935 and 1939 embodied a social approach to Refugees definition. Refugees defined from the social perspective are the helpless casualties of broadly based social or political occurrences which separate them from their home society. The third phase of international refugee protection, comprising the accords of the 1938-1950 era was revolutionary in its resection of group determination of refugee status. A refugee by individualist standards is a person in search of an enrage from prescribed in justice of functional incompatibility with her home state. The 1951 convention details the civic and socio-economic rights of refugee which must be respected. In addition, there are the regional and universal human rights instruments which read in conjunction with the refugee specific human regime, ‘Set a wide-ranging, if perhaps not fully adequate or integrated’ measure of respect for the basic dignity of refugee. [The view that] a refugee is a person whose social world has been disturbed – can contribute to our understanding in at least two ways. It offers a meaningful classification of refugee on a continue that runs from total destruction of the refugee’s social world to its persistence even as he or she moves. At one entree there are refugees whose social world almost collared in flight, who lost relatives and livelihood. Such were the survivors of Wazi concentration camps, who had no one left in the world and no home to return to. Then there are those refugees whose social world became more circumscribed as a result of flight, but were able to maintain some links or establish new ones. Most Afghan and Ethiopian refugees might fall into this category. At the after entree are refugee who maintained or quickly established full fledged networks in a new environment. The automatic or indiscriminate detention by state, without valid reasons, of refugees and asylum-seekers who are under the I jurisdiction is a fundamental variance with the nation of protection. 2. Entry in research of refugee on account of persecution, armed conflict or other event seriously disturbing public order does not constitute an unlawful act. 3. In the case of individual asylum-sackers a reasonable initial period of deprivation of liberty may be unavoidable to establish identify and bonefide nature of the asylum claim. 4. Where justified, they should be granted provisional liberty on suitable conditions. 5. The observations in paragraphs 3 and 4 do not affect the question of detention in cases of arrest in general criminal proceedings or administrative detention. 6. In situations of large-scale inform restrictions on freedom of movement might also he unavoidable, but should similarly be strictly limited to the requirements of the circumstances. 7. In order to ensure that they are not imposed to unjustified measures of detention, it is essential that refugees be identified as such. 8. Measures of detention should not be applied in a manner which violates the principle of non-discrimination. 9. Refugees and asylum-seekers should never be used as a buffer in cases of armed conflict or confined to areas where their physical safety is threatened. 10. Should provide suitable opportunities for work and education, as well as conditions which respect their religious and cultural identify and personal dignity. 11. 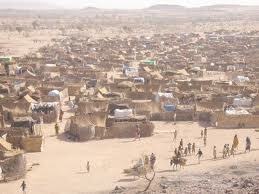 They should also permit UNHCR to supervise the well-being and protection of the inhabitants of refugees camps. 12. International solidarity and cooperation are of paramount importance in refugees situation. The following of international human rights law since the drafting of the refugees convention, so that two overlapping yet distinct right regimes now consist, raises important aviations concerning the relation between refugee rights and human rights, and the future role of a refugees-specific rights regime. A reasonable point of department in the examination of the relation between international human rights is a review of the purpose and historical context of the 1951 refugees convention. It is symptomatic that the 1951 convention did not contain any specific reference to the responsibilities of the country of origin. However, with the end of the cold war, western states have arrived that prevention is preferable to cure thronging the spotlight on the conditions and events that force people to flee? The international law of state responsibility is concerned with the incidence and consequences of illegal acts and particulars the payment of compensation for large caused. Curiously, everyone refugees to solution as an accepted term of art in the approach to the refugees problems, but no one has considered in any depth the inadequate treatment of solution has unfortunate, as solution is a motion fundamental to the formation of an approach to the refugee problem, and any misunderstanding where this concept is concerned is inevitably at the expense of the quality of the approach to the problem. Like resettlement the solution of local integration is not viewed as a visible solution today. For as lecher explains. Most first asylum countries are very poor and unstable. A sudden influx of refugees can disrupt a fragile economy, exacerbate unemployment and heighten ethnic flexions. Therefore it is not surprising that the idea of integration has received little theoretical attention. In Reading ii. A Kutilman, among the few to have written on the subject, offers a definition of the form integration? Chimni revivals Indian’s record with respect to Tibetan refugees and the rights intended to them. In comparison with other refugees groups in the country Tibetan refugees have received for better treatment. Readers may query as to what accents for this differential treatment? enact be explained by the fact that in the case of the Tibetan refugees the possibility of repartition was non-existent from the very beginning? But then how does one explain the relatively better treatment of the Sri Lankan Tamil refugees when compared to the resources of the state in which the Chakma refugees from Bangladesh? Can in this case the differential treatment be accounted for by the existence or absence of ethnic ties? Do refugees are located make a difference? For example, Tipura where the camps of the now repatriated Chakma refugees were located is among the poorest regions in the country. Was that a reason for the refugees receiving as we shall see presently, less than human treatment? Should then the control government have the responsibility for looking after the welfare of refugees? More generally, is there a need to formulate and pursue a uniform policy towards different refugees groups? It so what should be the core elements of the policy? Describes the two major refugee’s flows from Bangladesh: The 10 million refugees who sought refugees in India in 1971 and the Chakma refugees who later fled persecution in the Chittagong hill tracts and who repatriated in 1998. To a Bangladesh national, the refugee’s situation is unit familiar. The people of Bangladesh had been subject to genocide and crimes against humanity in 1971 by the Pakistan’s military junta. Around 10 million Bangladeshi nationals had leave for India to escape from the murderers of Pakistan army. Many of the Bangladeshi nationals became refugees in India for a nine-month period till Bangladesh emerged as independent country in 16 December 1971. Bangladesh had accepted the refugees because of humanitarian concern. Bangladeshi is a responsible member of the UN and is conscious of its role in the promotion of and respect for human rights. Bangladesh is committed to undertake humanitarian aid to the refugees when ever is necessary. Many local non-Governmental organizations have been engaged in advancing the cause of human rights including that of the refugees in the country. Article 25 of the Bangladesh constitution states that “The state shall base its national relations on the principles of respect for…. international law and the principles enunciated in the United Nations charter. Further more article 32 of the 1972 Bangladesh constitution states that “No person shall be deprived of life and liberty saves in accordance with law”. Under article 39 of the constitution freedom of thought, freedom of speech and expression are granted in Bangladesh. Bangladesh’s is a democratic country and the people of Bangladesh have a tradition to resist the authoritarian nature of the government. Bangladesh’s successive democratic governments are fully committed to respect the provisions of the constitution. The fundamental rights as enumerated in part III of the constitution are justifiable by the higher judiciary in the country under article 103 of the constitution. Since 1991, Bangladesh has been the main country of refugee for members of the Muslim Rohingya minority in Burma’s arakan state, many thousands of whom have fled gross human rights violations prepared by the Burmese government. In 1991-92 alone, discrimination, violence and the imposition of forced labor practices by Burmese authorities triggered an exodus of some 250,000 Rohingya across the brander into Bangladesh. Most of these refuges returned between 1993 and 1997 under a repatriation program arranged through the auspices of the United Nations High Commissioner for Refuges (UNHCR). The future of 22,000 Rohingya who remain in refuges camps in Bangladesh, however, remains unclear. Donor countries, frustrated by the lack of progress in finally resettling these remaining refuges, have reduced the level of support available to them. Mean while, continuing discrimination against, attacks upon, and other widespread violations of the rights of Rohingya in Burma have led to new refuges out flows into Bangladesh. More than 100,000 Rohingya, who have not been formally documented as refuges, now live in Bangladesh out side the refuges camps. Their situation to remains precarious. This report describes the key obstacles which have to now prevent the satisfactory resolution of this major refuges problem, with particular attention to emulation of the agreed repatriation program. The primary obstacles are to be found on the Burmese side of the border. Burma’s ruling state peace and Development Council (SPDC), which replaced the state law and order Restoration Council (SLORC), persists in its policy of denying Burmese soil. As a direct consequence, Rohingya are treated as aliens in their own country and are being subjected to restrictions on their freedom of movement, arbitrary function and extortion by local officials. Rohingya villagers also continue to be required to understate forced labor by local Burmese official, who sometimes threaten to have them killed if they refuges to company. Refugee’s international is concerned about the pricing and persistent humanitarian and protection issues facing the stateless Bihari. The Rahigya refuges population and displaced religious minorities in Bangladesh. The Biharis (Stand and Pakistanis) of Bangladesh are particular concern to refuges international. The Biharis, an Urdu speaking Muslim minority originally from the Hindu region of Bihar, have been stateless since the day of Bangladesh independence. At the partition of 1947, the Biharis became a part of East Pakistan, but their past support for western Pakistan caused tension between the Bihari and the newly independent nation of Bangladesh. Bangladesh has refused to provide full citizenship to the Bihari due to their previous support of western Pakistan while Pakistan, on the other hand, fears the large influx of Biharis who live in 66 camps in 13 regions across the country. The Bihari face over crowded living quarters, poor drainage and sanitation systems, inadequate education and health care facilities. Most importantly the Bihari continue to remain stateless after more thus thirdly years of hardship. Little has been done to improve their current conditions and no plausible solution has been reached. 03/23/2006Bangladesh: Stateless Biharis group for a resolution and their rights. 05/09/2005Bangladesh: Burmese Rohingya refugee virtual tinstones. 12/13/2004 stateless Biharis in Bangladesh: A humanitarian right mare. 05/30/2003 Lack of partition planes Burma’s Rohingya refugee in Bangladesh more policy recommendations. 09/06/2007 Bangladesh takes laudable steps to reduce statelessness. 06/14/2007 Child labor among the displaced and stateless. exodus after 1933 and placed great numbers of individuals in an intolerable position, special intergovernmental action was organized from 1938 on under the imitative of president Roosevelt, resulting in the establishment of the intergovernmental action, under the direction of the united states and great Britain, was continued and asradened during the second world war to deal with new emergencies. In the third place were the large scale efforts on behalf of displaced person by the military authorities once liberation of the continent begin with the second world front in June 1944. These efforts were supplement by those of relief agencies, notably UNRRA….. whose work along with that of IGCR from (ed) the immediate background to the established of IRO. The office of the united nations high commissioner for refugees (UNHCR). Though Governmental entities are usually rather clearly identifiable, it is not always clear who is and is not part of the non-government portion of the refugees assistance of network. The field incorporates aspects of human rights, generic charity, immigration services, social services, religious services, development, education, advocacy and a host of support and other functions. Refugees NGOs may be involved in both domestic resettlement of refugees and services to asylum seekers, and in international refugee aid. They may specialize in advocacy, public education, legal services, development aid or provide a full range of medical, logistical and relief service. A few specialize in particular nationalizes, all however, offer services to refugees or displaced people as the or one of the central focus of their program, their involvement with refugees is not by chance. Some agencies are activists with respect to government policy, seeking to affect policy content or program resources. Commitment to advocacy does not seem to be determined by size of constituency on surprisingly, even to degree of reliance on government funding, though both are relevant factors. Some NGOs rely heavily on funding from governments- others will not accept such funds and rely only on private support such as individual contributions, grunts from foundations, or allocations from church bodies. A total inventory of NGO functions and services is properly not possible, but the following examples of board functional areas, both formal and informal, show the importance NGOs to the refugees assistance network. During international armed conflicts. Nationals of a state who flee hostilities and center the territory of an enemy state are protected by the fourth Geneva convention as aliens in the feretory of a party to the conflicts (Articles 35 to 46 of the fourth convention). This convention requests favorable treatment for refugees on the part of the host country; since as refugees they do not enjoy the protection of any government, they must not be treated as enemy aliens solely on the basis of their nationality (Article 44 of the fourth convention). Protocol I reinforces this rule while also refiguring to the protection of stateless persons (Article 7. of protocol I). Refugees nations of a neutral state who find themselves in the territory of a belligerent state are protected by the fourth convention when there are no diplomatic relations between their state and the belligerent state. Article 73 of protocol I manicuring this protection even when diplomatic relations exist. To fourth convention further stipules that ‘In no circumstances shall protected person be transferred to a country where he or she may have reason to fear persecution for his or her political opinions or religious beliefs’ (Principle of non-refulgent Article 45 para- 4 of the fourth convention). The office of the united Nations High Commissioner for refuges (UNHCR) plays a role of paramount importance in work on behalf of refuges. The ICRC considers itself to be directly concerned by the fate of refuges who are civilian victims of armed conflicts or disturbances, or of their direct results, i.c—–, situations by its mandate. ICRC action for these refuges depends their alia on their protection under international humanitarian law. The High Contracting Parties, considering that the charter of the united nations and the universal declaration of Human Rights approved on 10 December 1948 by the general assembly affirmed the principle that human beings shall enjoy fundamental rights and refuges without discrimination considering that the united nations has, on various occasions, manifested its profound concern for refuges and endeavored to assure refuges the widest possible exercise of this fundamental rights and refuges, considering that it is desirable to revise and consolidate previous international agreements relating to the status of refuges and to extend the scope of and the protection accorded by such instruments by means of a new agreement. Considering that the grant of asylum may place unduly heavily burdens on certain countries, and that a satisfactory solution of a problem of which the united nations has recognized the international scope and nature cannot therefore be achieved without international cooperation. Expressing the wish that all state, recognizing the social and humanitarian nature of the problem of refuges, will do everything within their power to prevent this problem from becoming a cause of television between states. Nothing that the united nations high commissioner for refuges is charged the fast of supervising internationals conventions providing for the protection of refuges and recognizing that the effective coordination of measures taken to deal with this problem will depend upon the cooperation of states with the high commissioner. For the purposes of the present convention, the term ‘refuges’ shall apply to any person who. Has been considered a refuges under the arrangements of 12 May 1926 and 30 June 1928 or under the convention of 28 October 1933 and 10 February 1938, the protocol of 14 September 1939 or the constitution of the international refuges organization . Every refuges has duties to the country in which he finds himself, which require in particular that the conforms of its laws and regulations as well as to measures taken for the maintance of public order . The contracting states shall apply the provisions of this convention to refuges without discrimination as to race, religion on country of origin. The contracting states shall accord to refugees within their territory treatment at least as favorable as that accorded to their nations with respect to freedom to practice their religion and freedom as regards the religious education of their children. Nothing in this convention shall be deemed to impair any rights and benefits granted by a contracting state to refugees a part from this convention. For the purpose of this convention, the term “in the same circumstances” implies that any requirements (including requirements as to length and conditions of Sojoun or residence) which the particular individual would have to fulfill for the enjoyment of right in or section. Except where this convention contains more favorable provisions, a contracting state shall accord to refugees the same treatment as is accorded to aliens generally. With regard to exceptional measures which may be taken against the person, properly or interests of national of foreign state. Nothing in this convention shall prevent a contracting state, in time of war or other grave and exceptional circumstances from taking provisional measures which it considers to be essential to the national security in the case of a particular person. Where a refugee has been forcibly displaced during the second world war and removed to the territory of a contracting state and is residence there, the period of such informed sojourn shall be considered to have been lawful residence within that territory. In the case of refugees regularly serving as crew members on board a ship flying the flag of a contracting state, that shall give sympatric consideration to their establishment on its territory and the issue to travel documents to them or their temporary admission to its territory particular with a view to facilitating their establishment in another country. The personal status of a refugee shall governed by the law of the country of his domicile or if he has no domicile, by the law of the country of his residence. The contracting state shall accord to a refugee treatment as favorable and in any event, not less favorable than that accorded to aliens generally in the same circumstances. In respect of the protection of industrial property, such as inventions, designs or models trade marks, trade names and of rights in literary, artistic and scientific works. As regards non-political and non-profit-making associations and trade unions the contracting state shall accord to refugees lawfully staying in their territory the most favorable treatment accorded to nationals of a foreign country, in the same circumstances. A refugee shall enjoy in the contracting state in which he has his habitual residence the same treatment as a national in matters pertaining to access to the courts, including legal assistance and exemption from elution judicator so. The contracting states shall accord to refugees lawfully staying in their territory the most favorable treatment accorded to nationals of a foreign country in the same circumstances, as regards the right to engage in wage-earning employment. The contracting state shall accord to a refugee lawfully in their territory treatment as favorable as possible and in any event, not less favorable than that accorded to aliens generally in the same circumstance. The contracting states shall use their best endeavors consistently with their laws and constitutions to secure the settlement of such refugee in the territories. Where a raining system exists, which applies to the popular at large and regulations the general distribution of products in short supply refugees shall be accorded the same treatment as nationals. The contracting state shall accord to refugees the same treatment as in accorded to nationals with respect to elementary education. As regards housing the contracting states in so far as the matter is regulated by lacus or regulations or is subject to the control of public authorities. Social security (legal provision in respect of employment injury. Occupational diseases, maternity sickness, disability, old age, death, unemployment, family responsibilities and any other contingency which according to nationals laws or regulations is covered a social security scheme). Documents or certifications so delivered shall stand in the stead of the official instruments livered to aliens by or through their national authorities and shall be given credence in the essence of proof to the contra. Each contracting state shall accord to refuges lawfully in its territory the right to chosen their place of residence and to move freely within its territory subject to any regulations applicable to aliens generally in the same circumstances. The contracting state shall issue identity papers to any refugee in their territory who does not passes a valid travel document. Travel documents issued to refugees under previous international agreements by parties thereto shall be regained and treated by the contracting states in the same way as if they had been issued pursuant to this article. The contracting states shall not impose upon refugees duets, charges orates of any description what so ever, other or higher than those which are or may be levied on their nationals in similar situations. A contracting state shall in conformity with its laws and regulations permit refugees to transfer assists which have brought into its territory to another country where they have been admitted for the purposes of resettlement. The contracting states shall not impose penalties on account of their illegal entry or presence. No contracting state shall expel or return a refugee in any manner what so ever to the frontiers of territories where his life or freedom would be threatened on account of his race, religion nationals membership of a particular social group or political opinion. They shall in particular make every effort to expedite naturalization proceedings and to reduce as far as possible the charge and costs of such proceedings. The contracting states undertake to co-operate with the office of the united nations high commissioner for refugees or any other agency of the united nations which may succeed it, in the exercise of its functions and shall in particular facilitate its duty of supervising the application of the provisions of this convention. The contracting states shall communicate to the secretary-General of the united Nations the laws and regulations which they may adopt to ensure the applications of this convention. Without pre Juice to Article 28, paragraph of this convention this convention replaces as between parties to it. Any dispute between parties to this convention relating to its interpretation or application which cannot be settled by other means. The convention shall be opened for signature at Geneva on 28 July 1951. And this convention shall be open from 28 July for accession by the states. Any states may, at the time of signature ratification or accession, declare that this convention shall extend to all or any of the territories for the international relations of which it is responsible. With respect to those articles of this conventions that come within the legislative jurisdiction of the federal legislative authority. At the time of signature, ratification any state may make reservations article of the convention other than to articles 13, 14, 16 (i), 33, 36-46 inclusive. This convention shall come into force on the ninetieth day following the day of deposit of sixth instrument of ratification or accession. Any contracting state may denounce this convention at any time by a notification addressed to the secretary general of the unstated nation. Any contracting state may6 request revision of this convention at any time by a mortification addressed to the secretary general of the united nations. Notifications by the secretary general of the United Nations. of declarations and notifications in accordance with section 3 of article 1.
of signatures ratifications and accessions in accordance with article 39. In faith whereof the undersigned duly authorized have signed this convention on behalf of their respective governments. Done at Geneva, this twenty eight day of July, one thousand nine hundred and fifty-one in a single copy, of which the English and French texts are equally authentic and which shall remain deposited in the articles of the united nations and certified true copies of which shall be delivered to all members of the united nations to the non-member states referred to in article 39. The human rights to seek and enjoy asylum from persecution. The human rights not to be forcibly returned to the country he or she is fleeing if such a return would pose a threat to the life, security, or freedom of the refugee. The human rights to freedom of movement, freedom to choose his or her residence, freedom to leave any country, including his or her own, and to return to his or her country. The human rights to freedom from discrimination based on race, color, gender, language, religion, nationality, ethnicity, or any other status. The human rights to equal protection of the law, equal access to the courts, and freedom from arbitrary or prolonged detention. The human rights to a nationality. The human rights to protection from fortune or ill-treatment. The human rights to freedom from genocide and “ethnic cleansing”. The human rights to an adequate standard of living, including adequate food, shelter and clothing. The human rights to work and to basic labor protections. The human rights to the highest possible standard of health and to access to health care. The human rights to live in a healthy and safe environment. The human rights to education- to free and compulsory elementary education, to readily available forms of secondary and higher education, and to freedom from all types of discrimination at all levels of education. The human rights to protection from economic and sexual exploitation, particular for refugee women and children. The human rights to participation in decision-making which affects a refugee=s life, family, and community. The human rights to sustainable development. The human rights to peace. When UN decided to set up the UNHCR in 1949 the General Assembly of the unrecognized the responsibility of the UN for the international protection of refugees. International protection is based on human rights principles. Since the refugees do not enjoy the protection of the country. Of origin, the international community must come forward to provide that protection. International protection thus begins with securing admission of a refugee in another country. If includes supervision of refugees at the global and regional level. The refugees are to be identified and be accorded an appropriate status. Protection includes ensuring that the basic necessities of life are provided in a safe environment. Other tools of international protection include emergency resettlement to third countries or assistance to return home. For international protection one could rely on international legal convention and declarations adopted by the UN or by the regional organizations, such as the OAU convention or cartagena declaration for Latin America. In conflict situations the 1949 Geneva convention related to the protection of civilization persons in time of war and the additional protocols of 1977 assume particular signature.